She's Fantastic: WWE Superstar VICKIE GUERRERO! I love a good apology figure. It's rare when a toy company realizes an attempt they made at a product was sub-par and takes another go at it. 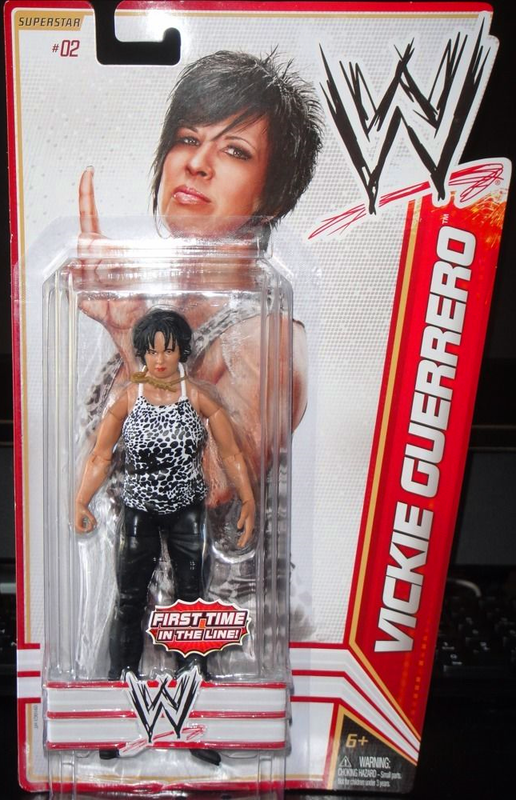 The first Mattel Vickie Guerrero figure was way back in Series 13. I had been hunting her down ever since I saw her photo on the back of some of the (shelfwarmer) males in her wave. The image was of Vickie herself, not the toy. (Note: Wrestling toys are the one genre I'm ignorant about. I know which superheros will hit the shelves a year in advance, but with these WWE toys, I'm just a blissfully ignorant toy aisle browser). Anyway, when I finally found her, I instantly knew she'd be the first figure I skipped. I was excited about Vickie as a figure because she didn't look like the rest of the Divas. She was slightly older, had short hair, she looked tough, and she looked like a "real" woman. The figure was haggard though. Her face looked like she was sneezing and she was wearing a rubber removable shirt that made her torso look awkward and bloated. So last week when I discovered this new version of Vickie with all the problems corrected, I was ecstatic. Let's check her out in detail below! One of Vickie's signatures is a gold "Cougar" necklace. The toy version is chunky and illegible, but it's also quirky and weird so of course I love it. The only flaw on my figure is some odd mold scarring on her right cheek. 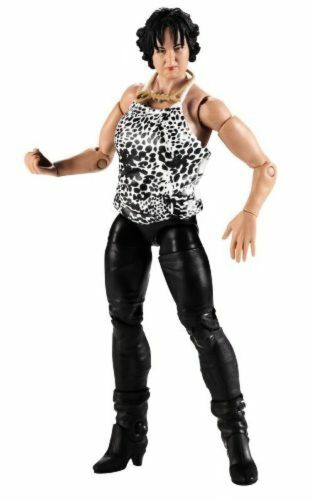 Vickie has the expected articulation from a Mattel WWE figure. She also sports the same weird hands that will hopefully be phased out eventually. They look great, but they limit the posing options. Alright. Here is the Series 13 figure that made me so uncomfortable. And here she is from the WWE Battle Packs Series #22. This one has a new face sculpt, but still sports the bulky shirt. 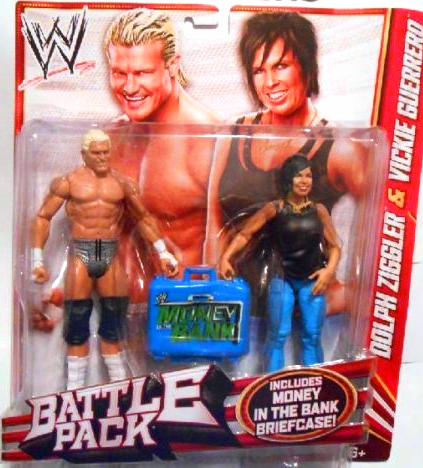 The only pictures I can find of Vickie wearing this figure's outfit show her crying.